Have you lost a loved one or suffered serious injury in an accident caused by the negligence of some other person or business? While such a situation creates major physical and psychological difficulties, all the resulting medical, insurance and legal details increase your anxiety. Fortunately, you are not alone in this tough time. Dan Haire, an experienced personal injury lawyer serving the Milton, WA area is here to help you. As your personal injury attorney, we work closely with you to relieve the financial and emotional burdens you are experiencing. Are you wondering – Why do I need a personal injury lawyer in the Milton area? It is because the law recognizes the right of a personal injury victim to receive due compensation from the erring persons, proving that they are to blame can be tricky. It is imperative to have a knowledgeable personal injury attorney like Dan Haire by your side to represent you in bringing a successful personal injury lawsuit. 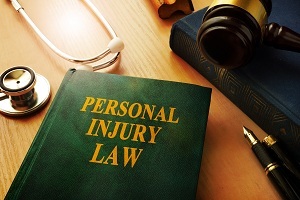 With our services as your personal injury lawyer in the Milton area, we also help you understand how much you should expect from your personal injury claim. Having us as your personal injury lawyer ensures that you go about the legal process in the right way and put your best foot forward, improving your odds at winning the best possible settlement. You are searching for a competent, compassionate and reliable personal injury attorney near you in the Milton area? Look no further! Serving the community since 1986, Dan Haire has amply proven his exceptional capabilities with countless successful personal injury cases. 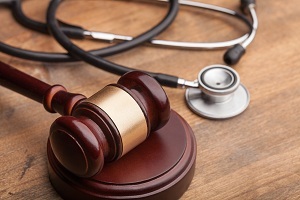 You receive a dedicated personal injury attorney who gives individual attention to your case. Turn to Dan Haire any time you happen to need the services of a personal injury attorney in Milton or its surrounding area. Call Dan at (253) 922-1393. You will be glad you did.